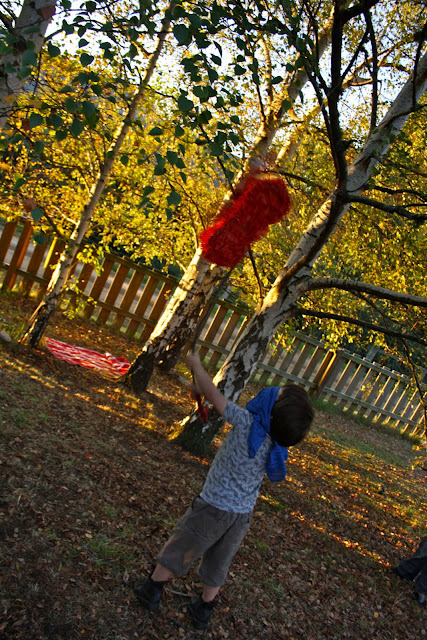 A boys-only celebration with treasure hunts, balloons and plenty of cake ending with raining lollies from the must-have piñata. Happy birthday Hugo! Beautiful pictures. Rosy cheeks and yummy cake! It looks like you've had a glorious Easter. I love the combined Easter/birthday chocolate cake. Perfect birthday celebrations- the cake looks great- does Hugo have a favourite flavour or just chocolate? Happy Birthday. He looks all grown up. The cake looks divine too! xo m.
I saw you in Country Style a few weeks ago - and I thought - hey - I know that girl! I know those kids!! Isn't it funny how the blog world does that! The article was absolutly beautiful, and Mabel a perfect cover model. your pictures are beautiful! i love how you hung the balloons...i might be copying this.